The Miami Dolphins signed Knowshon Moreno to a 1 year deal after a breakout season in Peyton Manning's offense with the Denver Broncos. Moreno was supposed to be #1 on the Dolphins depth chart, ahead of the emerging Lamar Miller. It was an odd signing from the get go, but it has now officially come to an end. Moreno returned from an elbow injury this week, only to gain 10 yards on 6 carries. He did average 4.8 yards per carry, but saw just 31 carries this season, totaling 138 yards and 1 TD. he rushed for 134 yards in the season opener against the New England Patriots. The backfield is all Miller's now, who has scored 3 TDs in the Dolphins last 2 games. He added a reception TD in Week 1 and has 15 catches on the season. 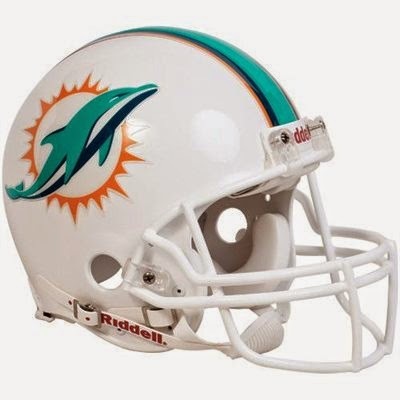 Miller is averaging 5.4 yards per carry and it would be wise of the Dolphins to run the ball a bit more moving forward. Ryan Tannehill has yet to throw less than 30 passes in a game, and it's not exactly like the Dolphins have THAT great an aerial attack or even the offensive weapons to warrant such a pass heavy offense. Mike Wallace leads the team with 25 receptions, 43 targets, 343 yards and 4 touchdowns. Jarvis Landry, Brian Hartline, Charles Clay and Miller each have at least 15 receptions and a TD.